Bartlett Construction LLC - Get Involved. Make Friends. Enjoy Motherhood. We are a small construction company that specialize in remodeling/renovations, basements and decks, custom tile work, hardwood floors and a lot more. 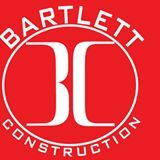 Please notify Bartlett Construction during the initial meeting to receive a 10% discount on labor.